I bought a number of cool little Kem Kem fossils recently. There's a number of quite interesing ones in there. One of them turned out to be pretty special. As far as I know Dromaeosaurid material is pretty rare in the Kem Kem beds. But this seems to be the upper part of a right humerus of a raptor. Other Theropods are generally pretty different and those of birds while more similar also don't match. the bone is obviously hollow but the bone wall is still fairly substantial, which makes me think its Dromaeosaur instead of bird. 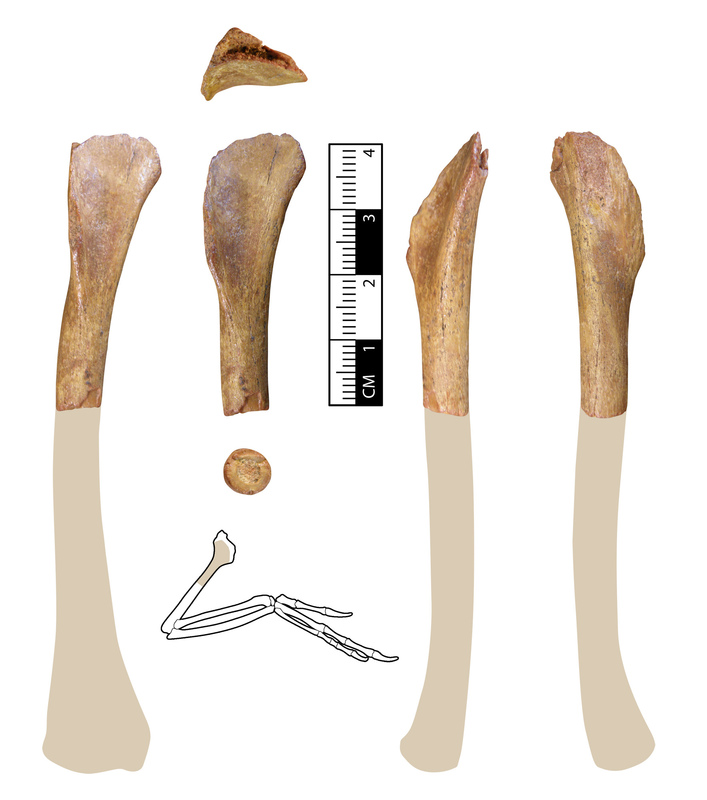 The bone is also almost identical in shape and size to the humerus of the small Dromaeosaurid Bambiraptor. Though mine is obviously not as complete, but still very nicely preserved in 3D. I feel confident enough to call this raptor that I wanted to share this with you guys. Needless to say, I'm really happy with this piece. Nice pick up. I agree with your ID. I've made a better image of the piece that better shows which part it is and also uploaded it to collections. 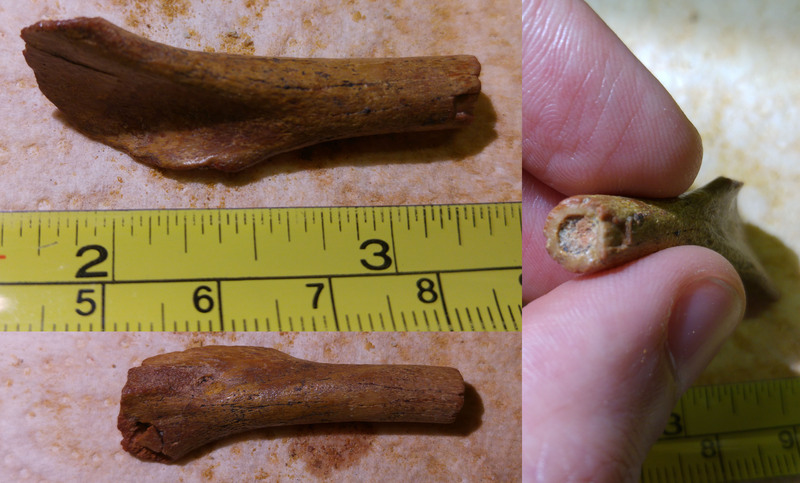 Nice, your bone along with isolated teeth continues to confirm that there is at least one small dromaeosaurid in the Kem Kem. Great addition and like you said very rare. Good eye spotting it. Thanks, I have another metatarsal bone that looks very similar to that of Deinonychus and Velociraptor. But that one seems slightly larger than Velociraptor. So if I ID'd that metatarsal correctly there might also be some slightly larger raptors around. I fully agree with your Id! It is not anyone who is able to identify an isolated and partial bone with such mastery, and you my friend succeeded in accomplishing this feat! Congratulations on the experience and great luck in this finding. I wonder what this dromaeosaurid will be called if it is described scientifically ... Kemkemraptor saharicus? I like to imagine the future ... Keep this with great affection my friend, because your discovery is impressive! Great piece, @LordTrilobite. Being amateur and even worse, not having ANY experiences with raptor bone, my examination of the proximal end of the humerus displayed had me puzzled. From the examples provided, it is hard for me to envision a "ball and socket" joint in the shoulder. Am I wrong? Or is it a joint with very poor development, typical of the species, or raptors in general. Next time I see raptors on display, I will check them out a little more carefully. One gets caught up looking at teeth, not scapula/ humerus articulation. 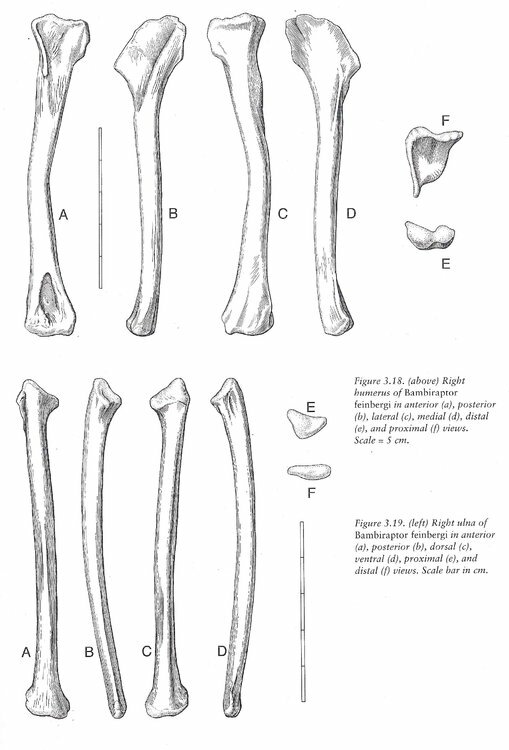 Well, as you can see in the Bambiraptor reference image, there is indeed not much of a ball on the end of the humerus. My guess is that much of the socket was filled with cartilage, but I really don't know. Due to graphic driver updates I was unable to make new photogrammetry scans for a while. But I have a new laptop and photogrammetry does work on there. So with that I'm making a number of new scans of my fossils I have in the works. Among those I made a scan of this raptor humerus so I figured I'd post it here in the thread, as it does show some nice details that really can't be viewed properly from just the photos.